With estimated 400,000 visitors per day, the Grand Bazaar is one of the biggest covered markets in the world. It has 60 streets and more than 5,000 shops organized by categories. From tropical fruit, homemade souvenirs to designer clothing and fast food, the Grand Bazaar merchants have it. And it’s been like that for more than five centuries. Located in the inner part of the old city, this marketplace is an unavoidable spot for many tourists. The most popular items proved to be golden jewelry and leather. If you go to the Grand Bazaar, don’t forget to bargain. That became a sort of local custom and the sellers are willing to lower their prices drastically, if you’re a good negotiator. 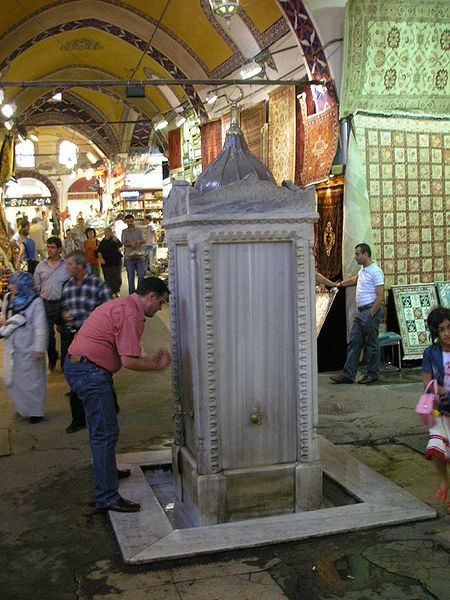 The Grand Bazaar is located near Aya Sofya and the Blue Mosque. Take a tram to Beyazit and walk a bit from there. The entrance is free, but get you’re money ready as you you will not be able to resist shopping in the Grand Bazaar.